The ultimate in retention, anatomical shaping, and strength. 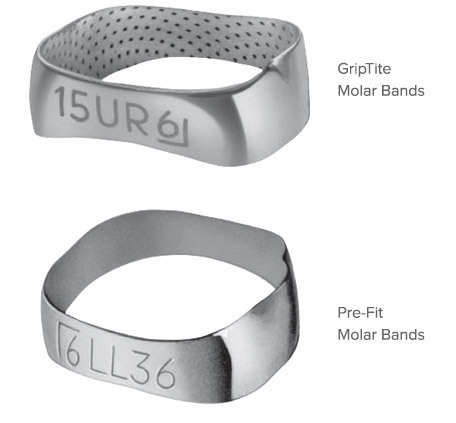 TPO® GripTite and Pre-Fit® Molar Bands perform to your highest expectations. 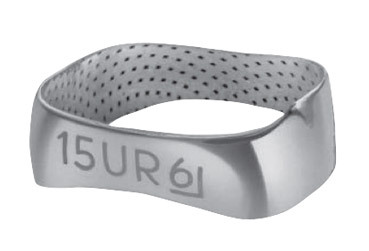 GripTite Molar Bands feature patented mechanical interlocking indentations that are three times deeper than photoetched bands. This enhances cement penetration for improved bond strength and retention. They are anatomically correct and deliver a snug, secure fit and superior retention without re-shaping or stretching. 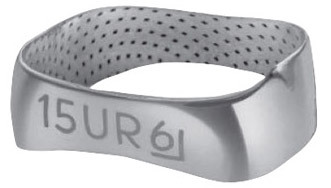 Pre-Fit Molar Bands are malleable with excellent adaptation. The shape incorporates slight buccal indents and gingival interproximal festooning to promote positive seating at the proper levels. Precise size gradations provide consistent fit without forcing, driving or stretching.